Under Schaeffer's guidance and vision, ITW and FASICLD were started in Carmel, California as a think-tank and Bible literacy project. This endeavor came into fruition the late 70's to strategize how to reach and train pastors and church leaders to <?xml:namespace prefix = w />focus on Christ-centered principles. "Men today do not perhaps burn the Bible, nor does the Roman Catholic Church any longer put it on the [forbidden] index, as it once did. But men destroy it in the form of exegesis; they destroy it in the way they deal with it. They destroy it by not reading it as written in normal literary form, by ignoring historical-grammatical exegesis, by changing the Bible's own perspective of itself as propositional revelation in space and time, in history, by saying only the 'spiritual' portions of the Bible have authority for us. I would say to you who call yourselves Bible-believing Christians, if you see the Word of God diminished as it is in our day and are not moved to tears and indignation, I wonder if you have any comprehension of the day in which we live. If we as Bible-believing Christians can see God's Word, God's verbalilzed, propositional communication, treated as it is so often treated and are not filled with sorrow and do not cry out, 'But don't you realize the end thereof? '-I wonder: do we love His Word? If we fight our philosophic battles, our artistic battles, our scientific battles, our battles in literature, our battles in drama, without emotional involvement, do we really love God? How can we do it without being moved as Jeremiah was moved? How can we speak of judgment and yet not stand like the weeping prophet with tears?" The question before us is what the Christian life, true spirituality, really is,and how it may be lived in a twentieth-century setting. Too often they have failed to show the beauty of love, the beauty of Christ and the Holiness of God, and the world has turned away. I want to say to you, those of you who are Christians or even if you are not a Christian and you are troubled about the direction that our society is going in, that we must not concentrate merely on the bits and pieces. If truth is one, that is if truth has unity, then Christian education means understanding, and being excited by, the associations between the disciplines and showing how these associations are rooted in the Creator's existence. Two biblical principles must be practiced simultaneously, at each step of the way, if we are to be really Bible-believing Christians. Dr. Francis A. Schaeffer composed the following thoughts in observance of the formation of the Presbyterian Church in America. Such thoughts on church development should challenge us how we do our churches too! Make no mistake. We as Bible-believing evangelical Christians are locked in a battle. We must realize that our being one will take looking to the Lord for help. There will be problems of coordination which must be worked out with patience, with being servants to each other. The rationale for this series is that many of the great writers who have helped many Christians mature are now either unknown or neglected by many who could use these authors' insights into the faith. Our education no longer tells us something about the sweep of human drama through time and in different places. Had Jesus become a dangerous liberal with new ideas, when he argued against the orthodoxy of his day in the Sermon on the Mount? Whatever Happened to Evangelical Theology? Half a century ago, an American pastor named Francis Schaeffer opened his home in Switzerland to anyone who was struggling with the basic questions of life. It was the beginning of L'Abri, a word meaning "shelter." "Take my life and let it be, consecrated, Lord, to Thee"
Reproduced from Explaining Hermeneutics: International Council on Biblical Inerrancy, 1983. The Reformation brought a renewed interest in curiosity and discovery, in calling and education, in work and civil responsibility. Today "diversity" is a term very much in the news and business jargon as the "politically correctly" way to deal with human differences. Currently the Francis A. Schaeffer Institute of Church Leadership Development is in partnership with Into Thy Word Ministries (another Francis Schaeffer vision). 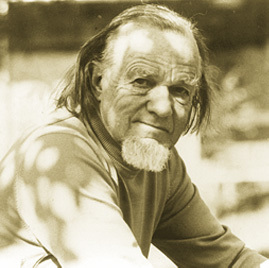 Our current task is the collecting articles and essays by the Late Francis Schaeffer, as well as researching his materials and making application of them to help lead the church into a better, more biblical direction.